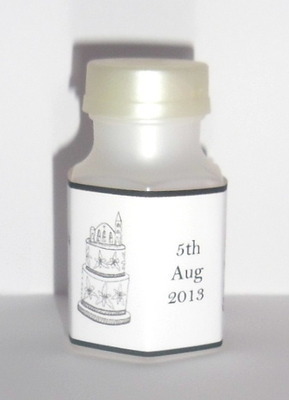 Mini hexagonal bottles of bubbles with a black and white cake personalised wrapper around. 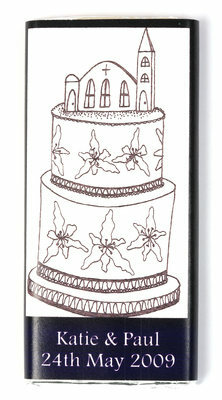 Your names and date of wedding can be added to the design. Please type in the freetext boxes below the personalisation you would like on the wrapper. 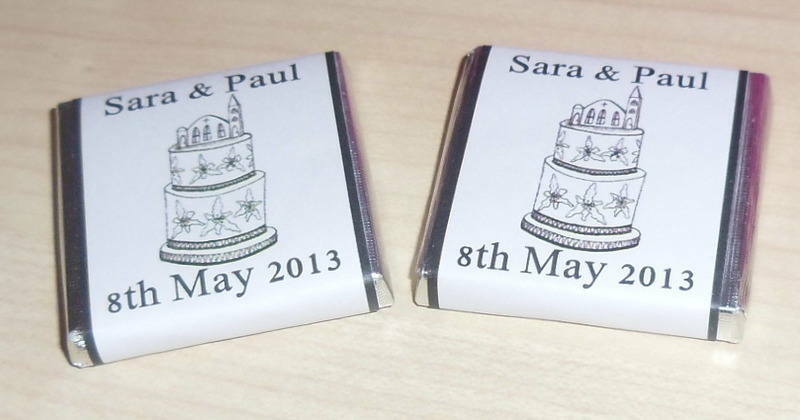 Other personalised products with the same design also available. Please click the box below if you would like us to e-mail you a photograph proof of a finished sample before we go to print on your order to make sure you are completely happy with everything. Any questions please feel to contact me.